Once again, we find ourselves at Think of the Children! Tuesday discussing a book that is not actually intended for children. Or about children. But it is a coming of age story, and I did read it in middle-school, so in my head it is inextricably bound up in childhood. Besides, a lot of the key plot points in the story happened when the characters were children. And also...it's my blog and I can do what I want. So there. 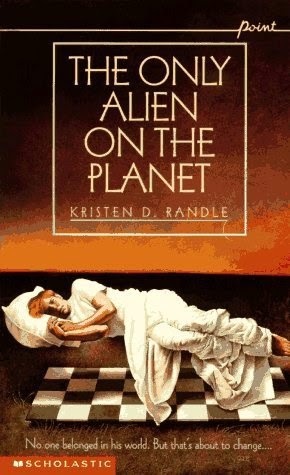 Anyway, today we're talking about The Only Alien on the Planet by Kristen D. Randle, one of my all time favorite books, and one that I almost never read. I found this book in my school library when I was in seventh grade. I picked it up because of the title, and because the front cover made me think it was a cool sci-fi thriller. I somehow neglected to read the back until I was about halfway through, baffled by the utter lack of extraterrestrial activity so far. Upon reading the back I learned that there wasn't actually going to be an encounter of the any kind, but I kept reading. I was halfway through. I'd committed. And, as much as I had trouble admitting it to myself, I was invested in the story. Even though it totally wasn't my kind of deal, and even though it was actually the kind of pulpy, emotional, soap operatic story I generally hated, I didn't want to stop. I really, really wanted to know the story of Smitty Tibbs. So I kept reading. And I loved it. Then, for some reason, I returned the book to the library, and kind of forgot about it. 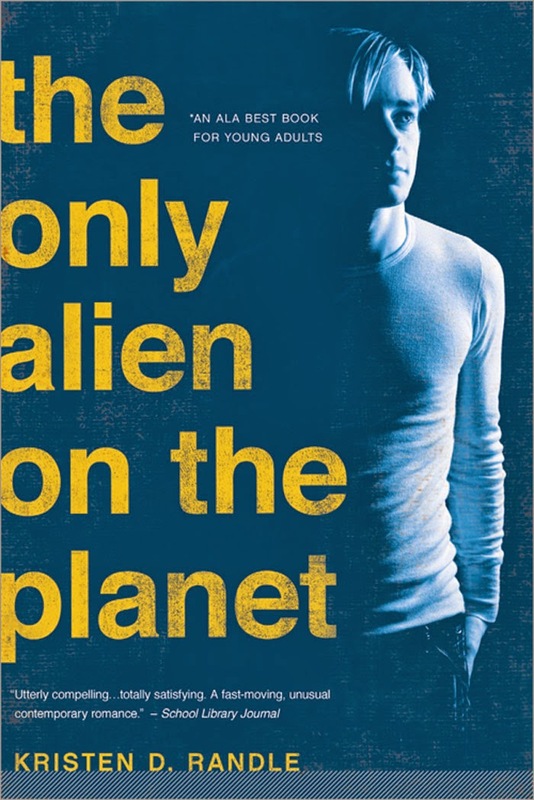 I mean, I remembered that there was a book out there called The Only Alien on the Planet, and that I loved this book, whatever it was supposed to be about, but I remembered no specifics. It wasn't until college when a friend rightly pointed out that I could just buy the silly thing on Amazon for less than five dollars that I remedied this turn of events. Now I own a copy that has traveled with me to no less than three continents, lived in every house I've stayed in since sophomore year of college, and is looking mighty worn at this point. All of this is to say that I love this book so, so much. But also that I'm kind of confused by it. I'm confused because I've never actually met anyone in real life who's read this book (that I know of, or that they've admitted to me), and because it's not actually a great book. It's a good book, but it's not a great one. And my love for it is pretty disproportional to how good it is. This isn't to say that it's a bad book. It's not. It's really not. Just that it's...I don't know, in some way not great. 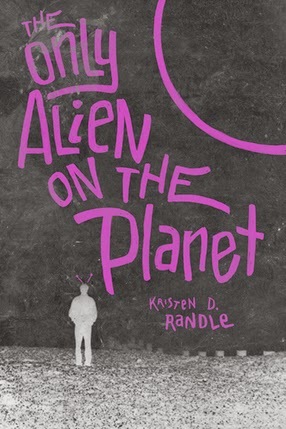 So for the uninitiated, which until proven otherwise, I am assuming is freaking everyone, The Only Alien on the Planet is not, as it turns out, about aliens at all, but rather a charming and kind of weepy coming of age novel. It's sort of like The Fault in Our Stars, only without the cancer, because it's got serious mental issues and traumatic childhoods instead. Also (SPOILER), no one dies in this one. The book follows Ginny Christianson, a relatably whiny seventeen year old, whose life is uprooted when her older brother/best friend starts college (how dare he?! ), and her family moves across the country on a whim, to "have an adventure". Prior to this, Ginny has grown up in the same small town and knew everyone and liked knowing everyone. Sure, her best friends are her brothers, but she still enjoyed having friends around. Now she's in a new town where it actually get cold in the winter, perish the thought, and she has to go about being the new kid for the first time ever. Also, her parents are going to be busy for the foreseeable future setting up their design firm, so Ginny and her brothers are largely on their own. She hates it. She's miserable. It's all very teenaged and unsurprising. Her neighbors, on the other hand, are surprising. On one side lives Caulder and his two sisters, who happen to be just the right ages for Ginny and her brothers to hang out with. Caulder and Ginny become best friends almost immediately, in the sort of proximity and vaguely shared interest kind of friendship you have when you're a teenager. But on the other side of Ginny's house is the Tibbs family, whose second son, also in Caulder and Ginny's classes, is kind of deeply...crazy. Like, there's no other word for it. Smitty Tibbs, though he is absolutely gorgeous, is completely nuts. He never talks to anyone or at all. He never looks at anyone or touches anyone or allows himself to be touched. He hasn't made eye contact since he was two. He's reportedly quite brilliant, since his grades place him at the top of the class, but he's also deeply weird. And not diagnosably crazy, either. He's not autistic, probably, and he doesn't seem to be brain damaged, he's just...in another world. All the time. Forever. Fortunately for her, Caulder is hooked too and the two of them embark on an attempt to solve the mystery of Smitty Tibbs. In their own bumbling teenage way. And I love the fact that the book really doesn't try to portray them as saviors or crusaders rushing in to save the day. No, they're nosy teenagers who end up doing as much harm as good, and nearly give the poor guy a heart attack. Which is, I think, probably quite accurate. I'm not going to say what happens in the end, or what's really going on with Smitty, because I deeply want at least one of you to read this book so that I can discuss it with someone, but I will say this: the truth of the story is good, and real, and hurts. As it should. And in the end, the book says so many important things about personhood and autonomy and the danger of projecting our own ideas of other people onto them that I just want to pick this book up and crush it to my chest in the world's biggest hug. I won't do that, because that would probably damage it, but know that I want to. This book becomes the rare coming of age story that isn't so much about the transformation of our hero or heroine into a "better person" or into an "adult" or even into the idealized version of themselves they always knew they could be. Nor is it the kind of book where the person coming of age realizes that it's all actually crap and nothing matters and they've been lied to their whole lives. Neither of those things happen. What happens instead is this: Ginny screws up, Ginny apologizes, and Ginny learns to stop putting people in boxes based on what she thinks of them, and instead allows them to speak for themselves. That's it, but really, it's a lot. You see, this book teaches a lesson that is so rare that it pains me, and it's a lesson that is so stinking good and well put and everything that my only solution is to just post a picture of the words from the actual book, and let you read them for yourself, because I can't do it better. I really hope you took the time to read that, because it is stinking excellent. 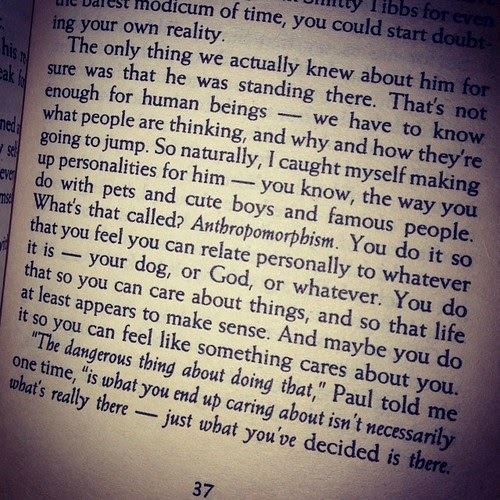 But if you didn't, here's the gist: if you start to anthropomorphize someone, start to assign them qualities because you don't understand them or don't know them or whatever, then what you end up caring about is your idea of that person, and not the person who is really there. You end up caring about your ideas, not reality, and it will cause you pain. A lot of pain. I needed to know that in middle school. Hell, I need to know that now. It is so easy to rest on your own assumptions, to see people the way you want to see them, and to ignore any evidence that seems to contradict that, but it's wrong. It's genuinely and horribly wrong to do that to anyone, especially someone you love. And part of growing up is coming to see the people around you as just that: people. Not the extras in the movie of your life, or the supporting figures in a novel, or even as the NPCs that help you achieve whatever it is you're going to achieve. The people around you are people too, and they are just as complicated and twisted and weird and wonderful as you are. It matters what you think of them, because it matters what they think of you. It matters that you stop seeing yourself as the center of the world, because if you don't, you'll never be happy or fulfilled, or even a decent freaking human being. Ginny Christianson is kind of a brat, a bit whiny, and a lot melodramatic, and that's really why I love her. She's such a mess most of the time, but she knows it. She knows she's a mess and she decides to do something about it. She sees that she's being selfish, and she tries to change. Yes, she does a lot of harm, but she also does a lot of good. And in the process, she learns how to stop thinking of herself as the center of the world, or as the "only alien on the planet" and start seeing everyone else. Really seeing them. P.S. Also, Caulder and Ginny are never romantically involved with each other, they're just friends and both of them have dates with other people without it getting weird, which is so genuinely refreshing you have no idea.